CARE plays a crucial role in four camps in Northern Iraq by organising the supply of clean water for Internally Displaced People (IDP) and their host communities. CARE has also improved access to sanitation facilities in camps and for host communities, as well as providing emergency kits to new arrivals in camps. Women, girls and boys receive solar lamps to ensure protection and safety at night. To date, CARE’s work in these camps has reached more than 60,500 people. The ongoing conflict in Iraq has resulted in more than three million people being displaced across the region. Already 191,800 people have been forced to flee Mosul alone, and the latest offensive by the Iraqi government to retake the city has led to many more fleeing their homes. 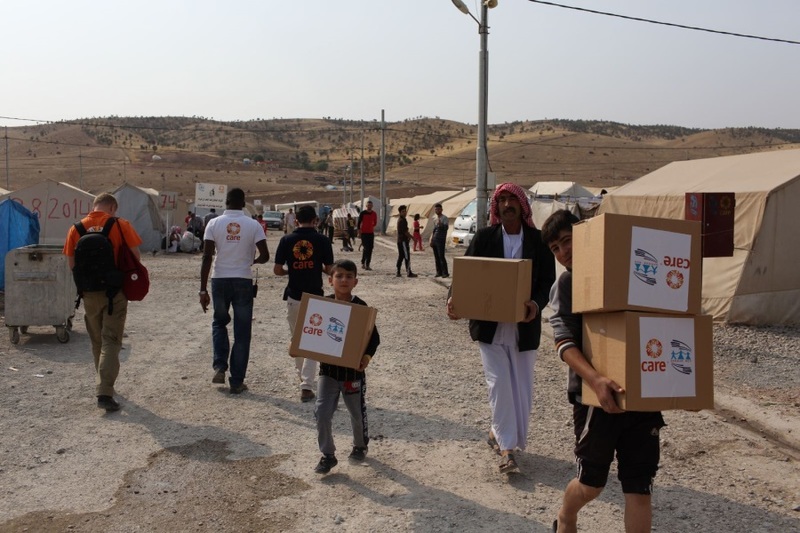 CARE is already working inside Iraq to provide basic aid for people displaced by the war. CARE plays a crucial role in four camps in Northern Iraq by organising the supply of clean water and improved access to sanitation facilities in camps and for host communities. Toilets, showers and washing facilities are kept clean, septic tanks are serviced and waste is collected. CARE also provides concrete slabs for tents to offer more protection. CARE provides emergency kits to new arrivals in camps – including women, girls and boys receiving solar lamps to ensure protection and safety at night. 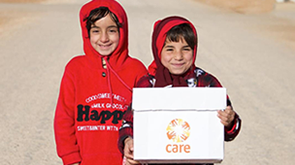 To date, CARE’s work in these camps has reached more than 60,500 people. CARE also implements a child and maternal health project in northern Iraq, which is rehabilitating and equipping public health centres in rural areas. CARE is focusing on newly retaken villages to the north of Mosul, where many families have remained in their homes instead of fleeing. CARE’s response will focus on shelter as well as water and sanitation, and maternal health with special consideration for the specific needs of women and girls. In addition, CARE’s existing work in Northern Iraq will continue. This includes the provision of nutrition supplements for maternal health clinics, which will bolster the capacity of clinics to treat and support pregnant women from Mosul and other areas. Through our humanitarian initiatives, CARE will promote the empowerment of women and inclusive governance in the communities we support, and increase the resilience of displaced and host communities. CARE is providing long-term help to thousands of families displaced by sectarian violence in Iraq. The story of a Yazidi woman refugee from Iraq as told to CARE and PositiveNegatives.